Today is the centenary of the 1918 General Election when women over thirty and all men over the age of 21 were able to vote. It also saw the first woman MP elected, though as Constance Markievicz was a member for ‎Sinn Féin she did not take her seat. 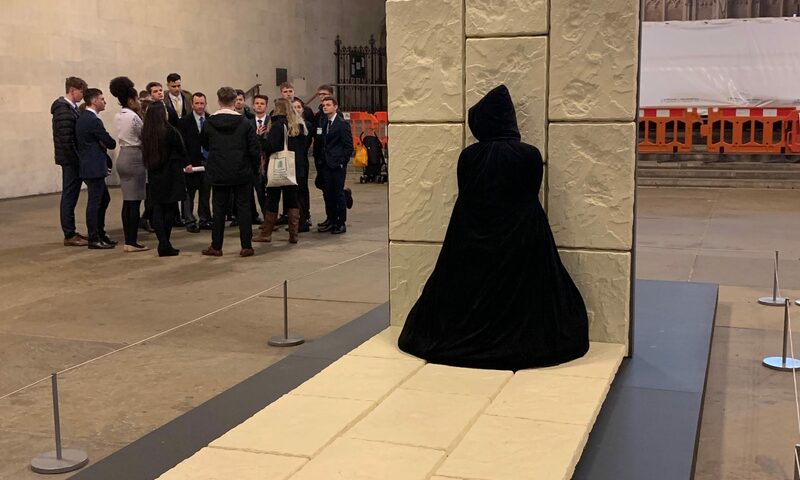 The photograph is of House of Doors, by Kristina Clackson Bonnington, a sculpture that was in Westminster Hall last month. See https://www.parliament.uk/house-of-doors/ for more details. House of Doors is supported by the Lord Speaker’s Advisory Panel on Works of Art and the Speaker’s Advisory Committee on Works of Art.